Steely-eyed Paul Colbert negotiates the Sheffield Maze to come face-to-face with Yazoo. Pinhole camera: Master T. Sheehan. “Oh, he’s over having his picture taken with the bridegroom.” Of course, silly question. On the whole it had been one of those weekends. The sort where mysterious wedding parties invade the hotel bar, where tipsy aunties yell “didn’t I see you on TV” at Alf from the opposite end of the carpark, and where Vince Clarke is greeted by the best man like an amnesiac cousin and made the subject of a dozen Polaroids. Alas Vince is pre-occupied with more immediate threats than slowly congealing seafood. It is Yazoo’s third gig, their first in the wide world, away from home town Basildon, and 19.000 Pound’s worth of computer synthesizer has just suffered the silicon equivalent of a nervous breakdown. Unless it can be repaired or an alternative found they will have to play to a packed Sheffield Lyceum with a 60 second gap between every number. The computer is Yazoo’s backing band. 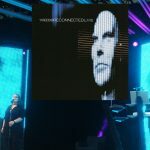 It contains every last scrap of rhythm track, bass line, and synth part, and the minute long interval is how long it takes to programme that information into Vince’s backup machine. They’re running two computers side by side to get round this delay and it’s the second one that is currently the subject of frantic ‘phone calls to London-based engineers in the hope of discovering the fault. In a backstage corner a reflective trio of Sheehan, scribe and Alison Moyet sips assorted things in orange juice and watch pigeons struggling to locate an exit from the Lyceum’s gloomy upper recesses. What was your background then? Was it because you didn’t have enough material, or you didn’t know what to do with it? The album is very … ah … “experimental”. Was that how you planned it? Did it grow in any surprising directions? But isn’t the trend at the moment towards distinction, identity is everything? We’re interrupted by a knock on the door heralding a ‘phone call from Keele University. By this time the scene of action has moved to a dressing room high in the Lyceum’s towers that is filled by Yazoo and half-eaten ham salads. It’s the location for “the interview”, and islands of theories and conversations that will be frequently revisited before the feature’s over. As a last resort Vince has tried to borrow another computer from the scientific campus. The call is to say it has been secured, but there is only half an hour before curtain up and Keele is 60 miles away. 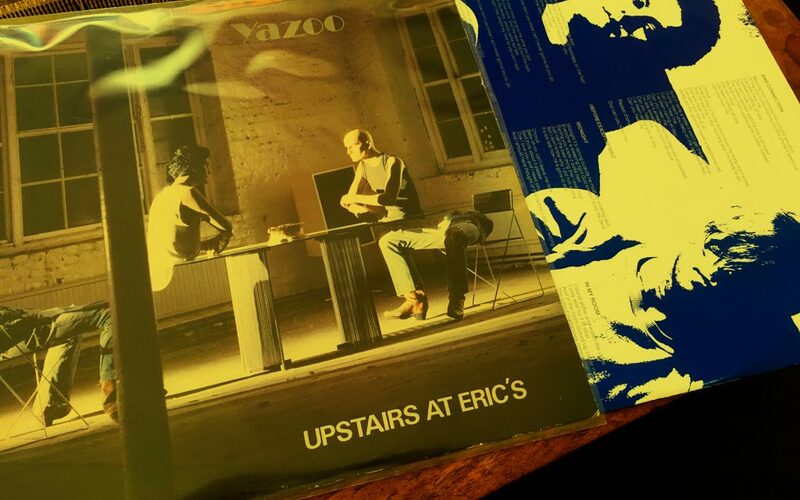 Yazoo look briefly at each other and decides to stick with what they’ve got. The sound crew have emergency tapes of the backing tracks and will feed them through the PA for every other number while the program for the next is being loaded into Vince’s last functioning machine. He’s not ecstatic. He’s spent a fortune and a lot of time mastering computer technology so he wouldn’t have to resort to pre-recorded “shows”. Vince may even be slightly hurt that his investment has let him down. Vince is about as quiet as they come. He’ll chat about the technical side of music for hours but is difficult to draw on content or inspiration. Later probes on how songs get written are met with shrugs both physical and mental. That which arrives is unquestioned. What concerns him is the eventual production and perfection of each idea. Alison Moyet talks and talks fast. That doesn’t mean she gabbles or chatters aimlessly. Each answer is direct, carefully thought out and efficient, it’s just that her heart seems to beat 50 per cent faster than yours or mine. The words grasp each other’s tail like elephants in a circus ring. She tacks supplementaries to Vince’s answers while the full stops are still hanging in the air. She laughs a lot. The immediate, easy pronouncement upon them – and one that’s already been made in the music press – is “chalk and cheese”. The fable of opposite temperaments combining in a unique team is one too many people are ready to swallow. It’s a neat solution, yet inaccurate. Vince and Alison are far more alike than initial surveys lead you to believe. Both are loners. Both have firm, unshakeable feelings on what they want to do with their songs. Both, I would suspect, could be politely but sturdily obstinate about their music. Do you miss having a band? Is it lonely working that way? Do you think you are insular people? In an ideal world would you prefer to work completely on your own? 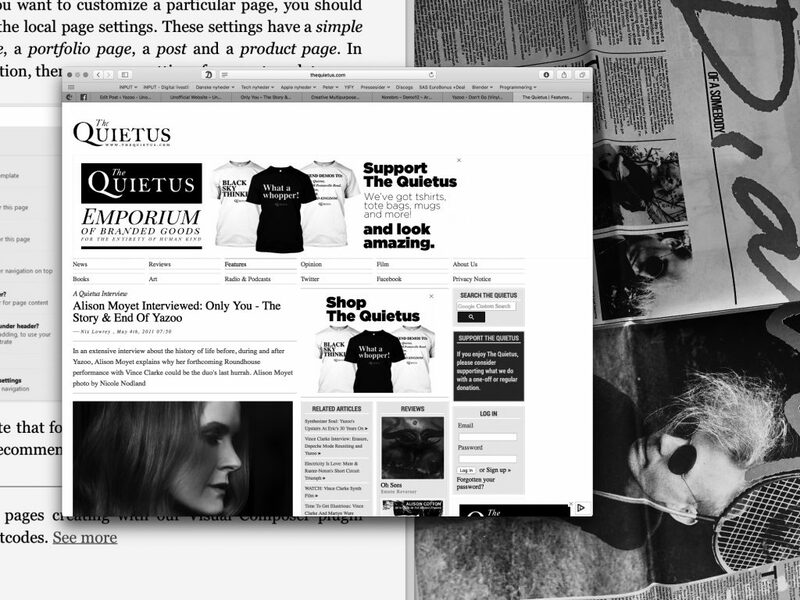 Do you consider yourself as outsiders? But for some time you were on the R&B circuit where there are a lot of people working together? The Lyceum is a vast armpit of humanity. By 9:30 the walls are visibly bulging in an attempt to contain the crowd that’s jammed in both upstairs and down. Three slide screens stretch across the rear of the stage. There should have been five to take the full Yazoo cinematic backdrop, but that would have meant siting the last two somewhere in the wings or out on the fire exit. They play every track on the album barring “I Before E Except After C”, the gig is superb, the audience go wild, and Vince Clarke dances, an occurrence which leaves the sound crew in danger of bruising their knees with the bottoms of their jaws. Afterwards Vince proves himself as demure in the face of adulation as adversity. “What did you think?” he questions. I offer a small volcano of praise. “Yeah, it was okay,” he concurs, eyeing a nearby opened bottle of champagne at the maximum of distance and with the minimum of trust. The reserved approval on show in the dressing room is at complete odds with the pandemonium downstairs where three encores had barely been enough to satisfy the punters. Within reason, yes. It’s becoming apparent that Vince has little time for the past whether long term or immediate. His thoughts have already shifted to the next gig and ways of overcoming the technical difficulties of tonight. Like many perfectionists he is his own most critical judge, perhaps he even distrusts audience reaction. He will always see the small flaws in each performance and be doubtful of an audience unreservedly ecstatic in the face of them. Alison is coping with a quandry of another type. She has rocketed from a background of small R&B pubs where approval, if won at all, comes only at the end of a hard, sweaty night. Suddenly, with Yazoo, she’s walking in front of a jammed theatre that goes crazy before they’ve heard a single note. It must be hard to reconcile the two approaches in your mind and decide whether or not you played a good gig or a mediocre one? There’s a song on the LP called “Goodbye Seventies” . It gives the impression that you’re shunning that part of your past? Do you feel you’ve rejected certain parts of your past, that you’ve finished with them? Nor shall I dwell on the two goddesses who arrived at 3.00 in the morning when hack and photog were the only ones still propping up in the bar. ” ‘Ere, are those Yahzoo lot ‘ere, let’s wake ’em up for a party.” Er, no, I don’t think so. Quick Sheehan, your good at this sort of thing, change the subject. “What are you ladies up here for then?” sidetracks the Chief. No, instead we shall proceed directly to breakfast the following morning. It’s 11.00 and Alison puts forward the first sensible proposal for the day. “Anyone fancy a drink.” Tears of gratitude and admiration mingle equally in the Chief’s eyes. We compare surnames , analysing the french angle. One of my ancestors designed the Panama Canal. Four of her family work in the Martell brandy business. It is a resounding victory for the Moyets. There is a family house in France, but she hasn’t been there for four years, music having taken up all spare time. Now here she was back on the road again. Don’t you think you might have rushed into doing gigs? But you don’t sound like lazy people? Do you expect the audience to like all your material, or even 50 percent? Supposing they only like a little, or shout out for old Depeche numbers? Sheehan has taken Yazoo on an expedition into the hotel’s shrubbery in pursuance of snaps. Alison has retained her glasses in deference to last night’s snifters and Vince is winching the quiff down over his face. Light zephyrs occasionally gust the Chief’s instructions in through the window, “Come on Vince, we’ll have to see ONE eye or the other,” and hotel staff seem at loss to understand why someone should be photographing their herbaceous borders. 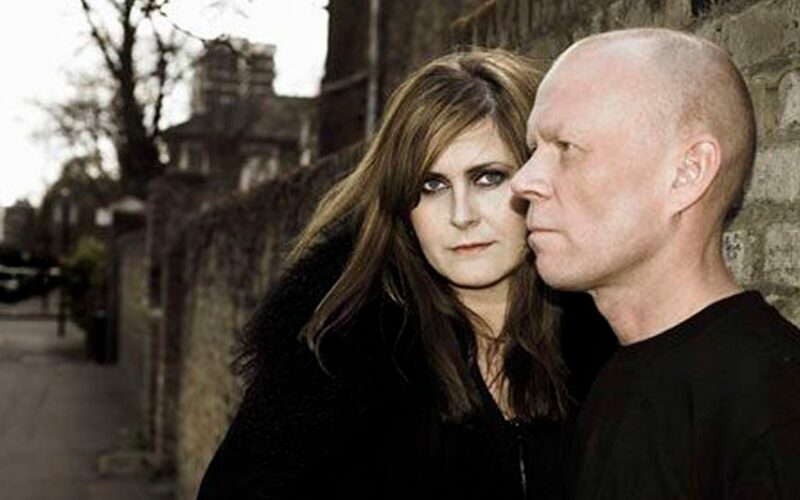 It would be poetic, not to mention tidy, to say that as I sat there watching sunbeams convert the upturned toast into golden triangles and hearing Sheehan swearing in the undergrowth, my mind sped back to the dressing room interview where Yazoo had divulged the secret of their charm and attraction on stage. Unfortunately they have no idea. But you do make a unique team, you complement each other, the electronics and the warm, bluesy voice keep each other in balance, don’t they? Originally printed in Melody Maker on September 25th 1982.